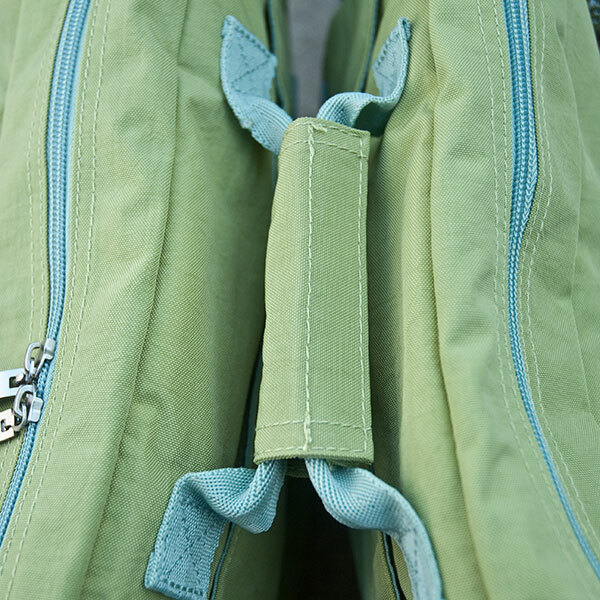 Third generation BackTpack for children and adults. 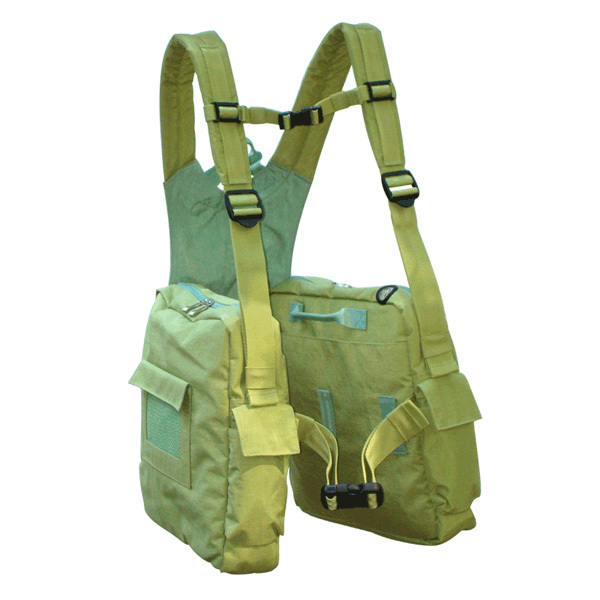 Side bag carrying system with balanced load promotes good posture with easy access, comfort and security. In 2 sizes to fit most children and adults. Highly adjustable to accommodate different body types. Small: For small framed adults and children age 6 and up. Fits shoulder width less than 16 in. (41cm); Hip circumference less than 37 in. (91cm). Medium/Large: Fits shoulder width greater than 16 in (41 cm), Hip circumference greater than 37 in (91cm). 26% greater volume capacity than small size. 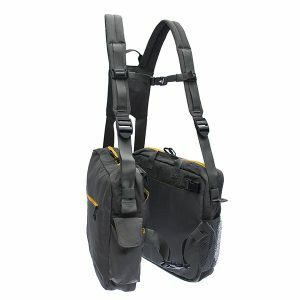 Click here for BackTpack features and comparison of models. This unique feature is essential for spinal health. 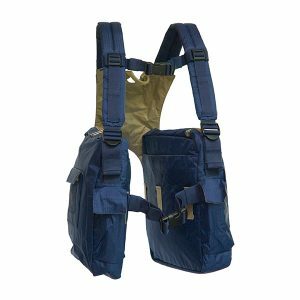 When you sit or squat while wearing the bag, the LAP-STRAP immediately transfers the weight of the bags off the shoulders and spine and onto the thighs without having to remove the shoulder straps. 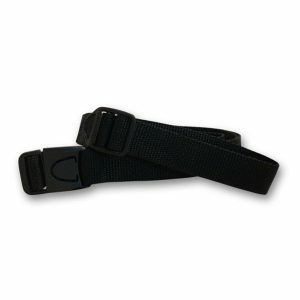 This prevents unhealthy load-bearing through a flexed (rounded) spine. 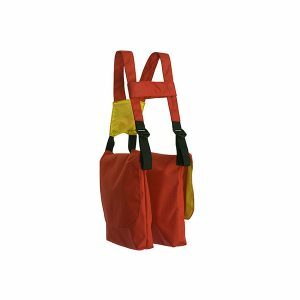 Allows bags to remain accessible at your sides if you choose to remove shoulder straps while seated. In sizes for kids and adults from 4'0" (120 cm) and up depending on body build. Small: Fits most small-frames people age 6 and older. Fits shoulder width less than 16 in. (41cm) and hip circumference less than 37 in. (91cm). Medium/Large: Fits shoulder width more than 16 in (41 cm), Hip circumference more than 37 in (91cm). For questions about fitting, please call us at 503-365-7554. After wearing my BackTPack, I will never wear a regular backpack again. After two years it shows minimal wear and tear, and I have used it every day. I have used it for my mile-long walk to work, for travel to art lessons, and as my only luggage on plane trips. I love it! After wearing/using my BackTPack for one day, I have noticed a significant reduction in pain associated with carrying a handbag/purse and materials for work. Previously, I used/would carry a purse and backpack. Quality material and assembly….worth the price! I bought the BackTPack several years ago and have used it as a work bag, travel bag, and bike bag. It works. 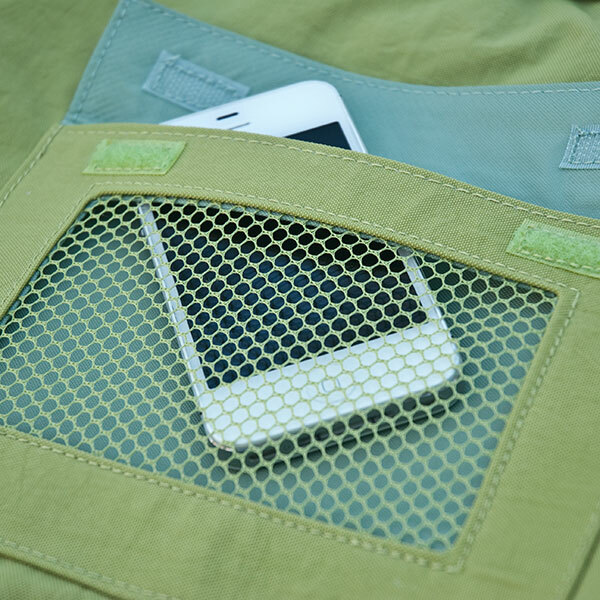 It’s lightweight yet really durable. Over a period of years the only significant issue was a chest clip that needed replacing and the company sent me one as soon as I told them about it. The thing I like the most though is the fact that it’s really helped prevent some back and shoulder problems I was having that were in good part due to carrying too heavy of a backpack. The way the BackTPack balances the load and avoids stressing my shoulders is awesome. And it works great as an airline carry-on because it holds a bunch of stuff but still fits really nicely under an airline seat. Sweet. So nice to hear that BackTpack has helped you in so many ways! Thank you for letting us know. I love my BackTpack! It has improved my life in so many ways. You don’t realize just how much of a difference it makes until you transfer the items from your traditional backpack into the BackTpack. It’s equivalent in weight and yet it it feels so much lighter! There are times I hardly even notice it is there. I have used it for 3-4 years now and it is showing no structural wear. This is truly amazing!! I mean seriously! What products out there in this day and age last longer than 2 years? Especially with daily use/abuse! I’ve loaded up the bag to the brim and ran with it on and… well… lets just say I have no doubts in the “Bounce tested for 48 hours” claim. I just bought two more bags because I want the upgrade to the BackTpack 4 and a different color, not because I need to replace the bag any time soon! I really cannot say enough good things about this bag. 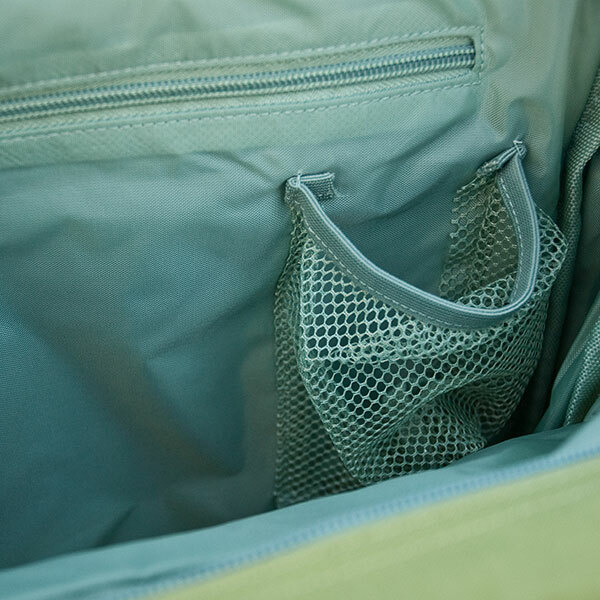 It takes a little getting use to at first – you have to get the knack for balancing the two sides of the bag – but once you get a feel for that, your life can begin a new chapter! Just kidding, that is a little too dramatic, but seriously! Buy this bag! You can also wear a backpack with it too which I think is pretty cool. I haven’t had to do this very often but it has come in handy a few times when I have had to carry more than normal. Lastly I just want to say how much I appreciate the customer service. I ordered up two new bags and Marilyn emailed me back alerting me to a Canadian distributor that would allow me to avoid the considerable customs costs! I don’t know about you, but I get tired of being taken advantage of as a consumer so it is nice to see someone that cares! In my opinion, everything from the design to the lasting quality of this product shows care and consideration! Maybe I am going overboard with positivity on this product, but I don’t care! Buy this bag and then tell everyone you know to buy one too! – Daily BackTpack user for 3-4 years. Wow. Thanks Jaxan! So nice to hear.